Atomix is designed to be un-opinionated, and that features extends even to the structure of the cluster itself. Atomix clusters can be architected in many different ways, so it can sometimes be confusing for new users trying to figure out how to architect their Atomix cluster. In Atomix, every node is treated as a normal member of the cluster. Nodes differ only in their configuration, i.e. how they replicate data. This allows for many different configurations. 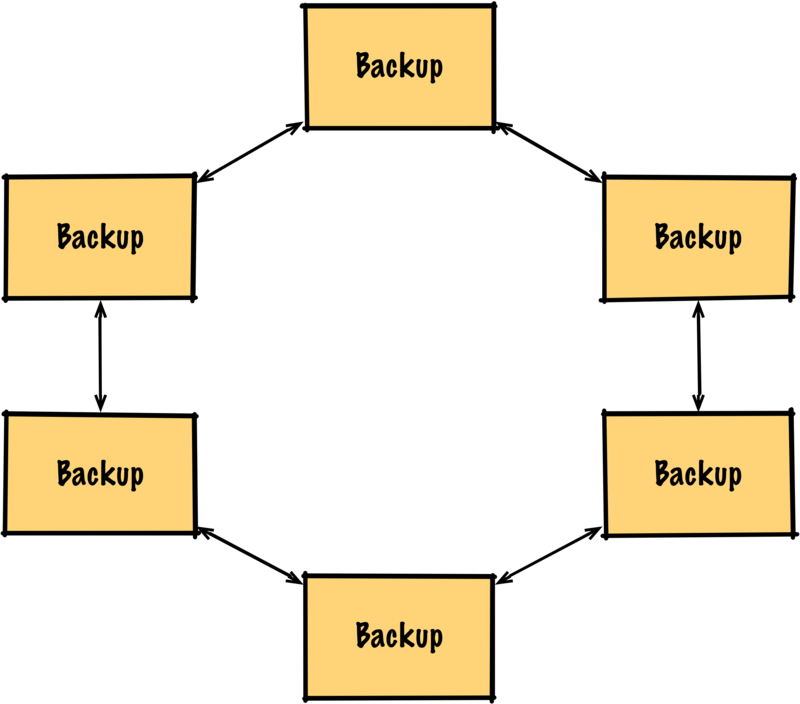 The data grid uses a partitioned primary-backup (or multi-primary) protocol to distributed primitive state across all the nodes in the cluster. This architecture is both scalable and efficient, replicating state only on a configurable number of nodes and balancing reads and writes across all the nodes in the cluster. Add to this the ability to dynamically discover nodes, and the data grid architecture makes for a highly flexible, highly scalable one. The data grid architecture supports rack awareness wherein backups will be replicated across physical racks. Simple data grid architectures have one draw back for certain types of applications, though. The data grid architecture as described here is an AP system. In a network partition, this data grid may experience split brain and lose data. # management on this node would constrain its fault tolerance. With this architecture, data grid primitives are still created in the same manner as before, but they transparently use the Raft protocol for more reliable primary election and replication. Note that this architecture separates the management and data groups on separate nodes, but the management group could just as well be configured to be replicated on a subset of the data nodes. Of course, the cluster can also be configured for a traditional client-server architecture with a scalable multi-Raft partition group. To scale Raft based primitives in the same manner as we’ve done for primary-backup primitives, we simply increase the number of partitions again. 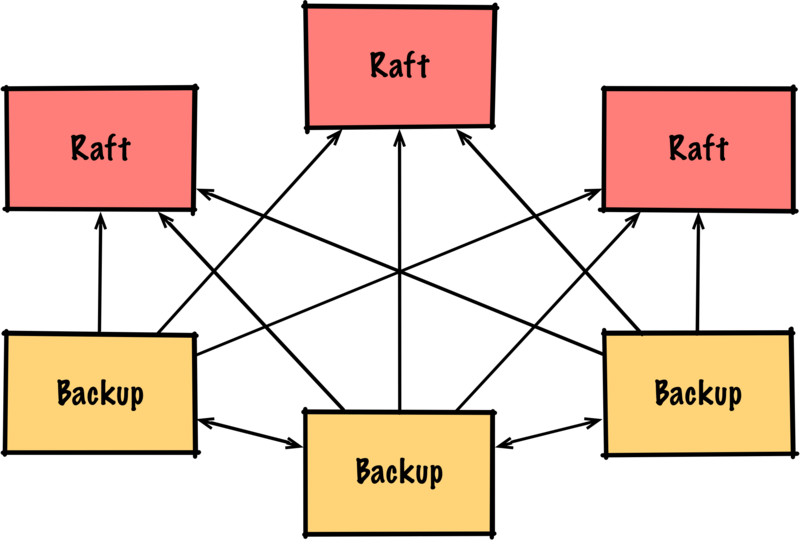 # Configure a Raft partition group named "raft"
The multi-Raft primitive will be partitioned among each of the configured Raft partitions. Of course, there’s no limitation to the number of partition groups that can be configured in a cluster or even on a single node. This allows for architectures that support multiple configurable replication protocols. # Configure a primary-backup group named "data"
The stateless client configuration allows for one more interesting architecture. To support clients in any language, the Atomix agent can be used as a REST proxy to Atomix primitives. By running an agent locally on each client node, clients can have language-agnostic access to Atomix cluster information and distributed primitives. 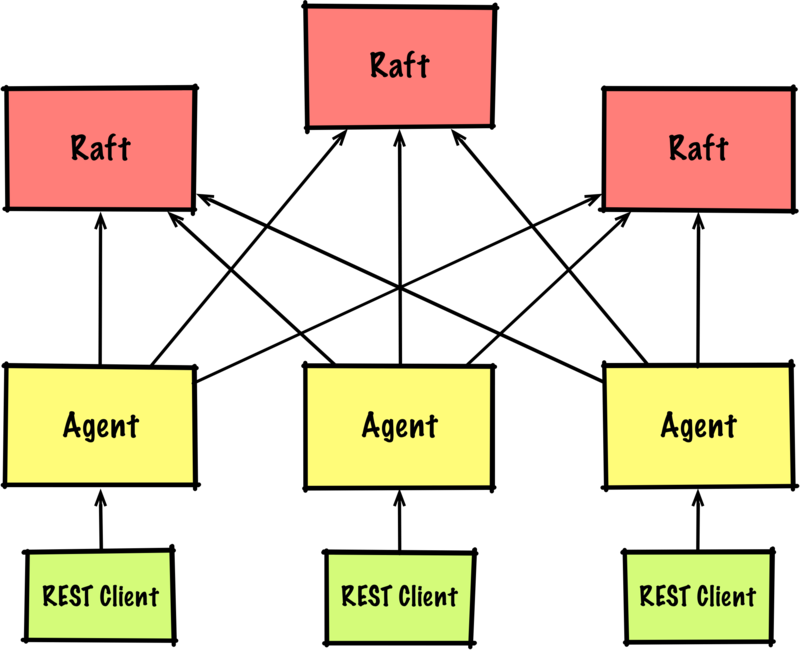 Additionally, maintaining a one-to-one relationship between agents and REST clients affords consistency guarantees consistent with those of Java clients.